Do you live a completely care free life? I don’t know many people who do – it’s almost unheard of! I can’t personally take away your stress – I absolutely would if I could. But I can tell you a few ways to manage it. After all, I bet you didn’t know that stress is one of the leading causes of weight gain in the modern world. Yup. All that worrying, the sleepless nights, the distracted mind, and chaotic thoughts can be what is preventing you from getting the weight off. It’s actually pretty ironic if you think about it. Stress causes weight gain and when we gain weight, we become stressed about that. What a viscous and unfair circle! Like I said, I can’t take away the daily stresses of your life, but I want to help you find a way to manage them. Managing your weight and feeling better about yourself will minimize one stressful aspect of your life. Take a look below to learn how stress is keeping you overweight and how you can manage it from today forward. You eat to celebrate the positives in your life. I’ve said this many times in past articles. I am absolutely not ashamed of it either: FOOD IS NOT LOVE. Do you want to know what the definition of food is according to dictionary.com? Food: Any nourishing substance that is eaten, drank or otherwise taken into the body to sustain life, provide energy, and promote growth. Tell me, do you see anything in that definition about food pertaining to your emotions? That’s right, you don’t. Food was NOT meant to be used to celebrate with or to show how much we love and care for someone. Yet somehow along the line, we have evolved to make it be almost only that. I grew up here in the South, where more than likely showing love with food originated. My family, my friends’ families, strangers, and just about anyone out here would get pure joy from knowing that they made food that you enjoyed. Yet, what most of them didn’t know at the time – and some still don’t – is that showing love with food is one of the greatest causes of our health problems today. If you must insist on using food for celebratory reasons, at least keep it to a minimum and keep it healthy. You take the phrase “comfort food” very literally. One of the most intelligent philosophers in history, Hippocrates, once said, “Let thy food be thy medicine and medicine be thy food.” What he DID NOT say is, “When you are sad or stressed out, make sure you sit down and eat junk foods in excess.” Just like we have used food along side our happy emotions, we even more commonly use food along side our not so happy emotions. With how stress filled the majority of us are, it makes sense that we all struggle with an ongoing battle with our weight. When we equate food with happy times and memories, we then turn to it for our not-so-happy times. We feel that it “comforts” us. In reality, it does no such thing. Unhealthy food causes us to become more depressed and continues the vicious circle. Live like Hippocrates said and use healthy foods to better your body, better your spirit, and better your mind. The healthier your eating habits are and the more you think of food as a medicinal necessity almost, the better you will feel about yourself and way of living. Stress is an ugly thing. Like you’ve just read, it causes weight gain and misery. So what can you do to wipe out your stress? Try a Group Fitness class! RIDE class for example, is a great way to rid your mind of the anxieties of the day. Pedal your aggression and stress away, while also burning over 700+ calories, and toning up your lower half. You will be surrounded by others who are there for the EXACT same reasons you are. It feels good to belong, doesn’t it? 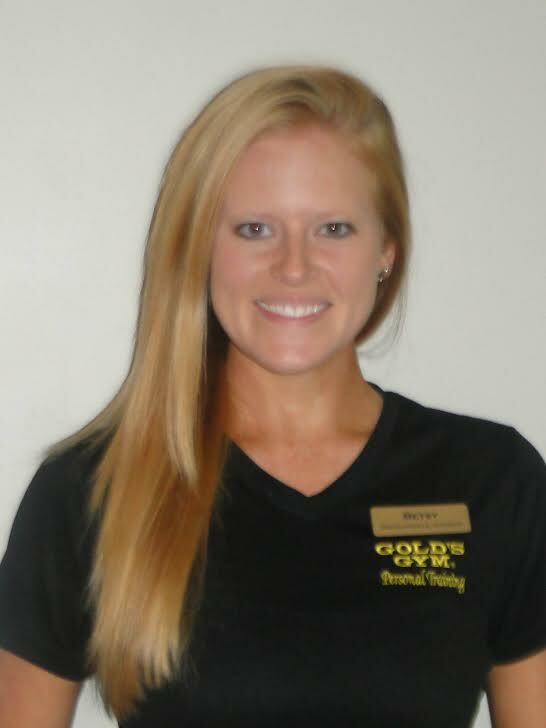 You belong with us here at the Gold’s Gym of West GA and we can’t wait to have you come in! See you soon! Get closer to your goals today by downloading this combo pass that includes a free session of personal training and a free 7 day gym pass. And don’t forget the free, no obligation e-book 5 Surprising Reasons You Are Not Losing Weight.